Drystone walls and hedgerows are characteristic features of the landscape. Whilst their primary function is to enclose land and livestock, provide shelter for crops and animals and prevent soil erosion, they are also very important for wildlife. A valuable habitat in themselves, they also act as wildlife corridors, linking habitats across the landscape. 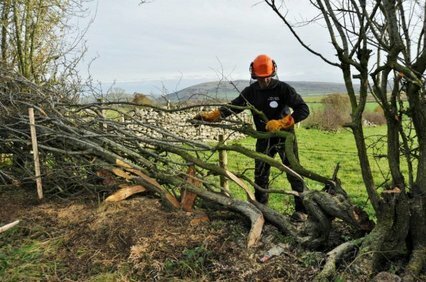 To ensure these historic features are cherished, maintained and remain part of our landscape far into the future, the traditional rural skills of drystone walling and hedgelaying must be kept alive. The AONB Partnership is therefore delighted to be able to run an annual programme of training courses and competitions.